This packet has FIVE days worth of activities all with the same book! 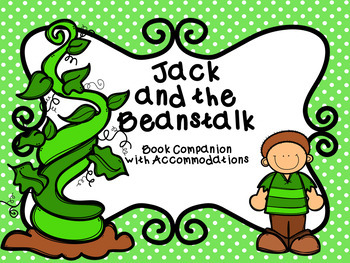 All activities are supported with visuals and two levels to meet multiple learner needs. 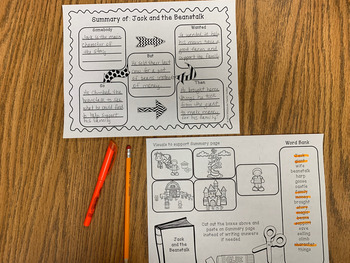 The Sequence and Retell, Story Elements, Main Idea, and Summary pages can all be blown up and used as posters to demonstrate writing while working in whole group. 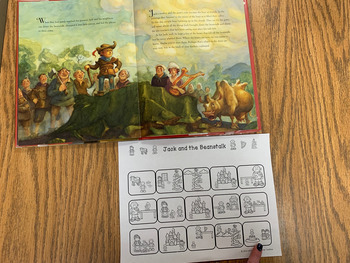 The Story Board is designed to help students stay engaged as you read aloud and aid in comprehension of what is read as well. Students can then return to their seats to complete their independent work. 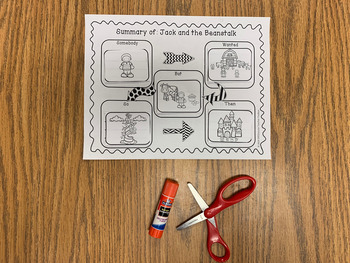 This packet includes visual supports of pictures to spark student writing, but can also be cut out and pasted in the correct place on the answer page for students who have difficulty writing due to their cognitive or fine motor skills. Pictures supports are NOT in the correct order. The idea is to support students, not provide answers. In addition, a word bank is provided as a support for learner needs. This packet is intended for use with General Education and Special Education students so they can do the same activity at the same time…but at their own unique level! Hope you enjoy using this in your Inclusive Classroom! You can build up TPT credit by leaving feedback on my products. You can submit feedback at the time of purchase or go to My Purchases for a list of what you have bought in the past. Next to each title you`ll find a Leave Feedback button. If you click and leave a rating and comment you`ll receive the credit. Then go to TPT Credits to learn how to redeem your credits on future purchases!